A 16-week transformational program to lose weight and live your life once and for all. ARE YOU A VICTIM OF THE YO-YO? Losing weight is only half the battle. Sadly, too many people know the defeat of dropping weight only to gain it back soon after. We call this vicious up and down cycle the “yo-yo” effect. Over time, this sinister cycle whispers that you aren’t good enough or strong enough to break free into a better life. The good news is – you don’t have to stay stuck in this hopeless mindset. You have the power to stop the yo-yo once and for all. My colleague, Dr. James Hill and I have spent years researching dietary science, metabolism, and weight management at the University of Colorado Anschutz Medical Center. While studying nation-wide statistics on obesity, we discovered the one state that seemed to buck all of the trends – Colorado. 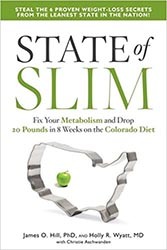 In 2013, we co-authored the book State of Slim in which we invited readers to adopt the lifestyle of Coloradans – the leanest, fittest population in the United States. Dr. Hill and I have spoken to, and educated audiences of all types and have seen thousands of lives changed for the better. And we believe this can happen for you. I know how overwhelming it feels to search for a long-term weight loss solution. 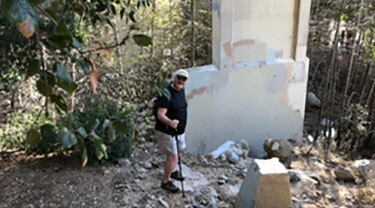 In my early years, I struggled with maintaining a healthy body weight. 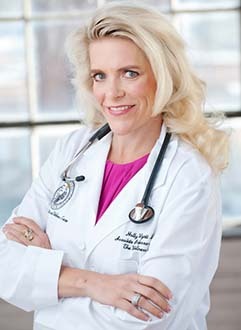 Since then, I have given my entire career to understanding the causes of obesity, metabolism, and weight management. I want to invite you to experience what my team has learned. What is my big “WHY”? I want to remove the barriers that keep you from the greatest unrealized potential of your life. I’m passionate about helping you beat the yo-yo and soar into a life of health and happiness! WHAT IS STATE OF SLIM? 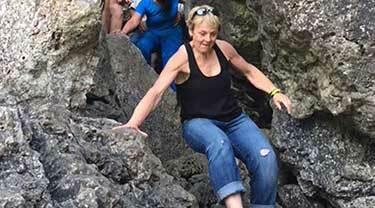 Engage in the experiential 16-week program to transform your body, mind & spirit. Learn the secrets to win your weight battle once and for all. Losing weight is not the end, but the beginning. Living in a State of Slim will help you lose weight but the real-end game is keeping it off permanently. 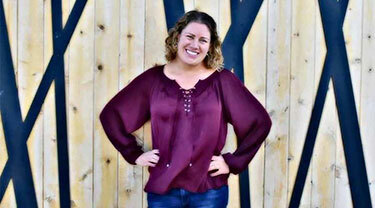 Right from the beginning, the 16-week experiential State of Slim weight loss program prepares you for permanent changes in your lifestyle and your weight. State of Slim, the 16-week transformational weight loss program, fixes your metabolism by creating metabolic flexibility. This means getting your body to a point where the calories you take in match the amount of calories you expend. The key to keeping weight off is creating metabolic flexibility and State of Slim does just that. Most of our daily behavior is automatic – we don’t really think much about it. State of Slim will help you replace the automatic behaviors that are keeping you overweight and unhealthy with new ones that make it easier for you to maintain a healthy lifestyle. You will learn to develop routines and rituals that keep you living in a State of Slim everyday. Most weight loss programs provide diet and exercise advise that works (at least temporarily) on your body. State of Slim works on your body and your mind. We have found that your body follows your mind and when you achieve the proper mindset, you not only make lifestyle changes but you are able to maintain them permanently. The spirit of State of Slim is infectious and spreads. People who have transformed through State of Slim want to interact with others who have been through the program. 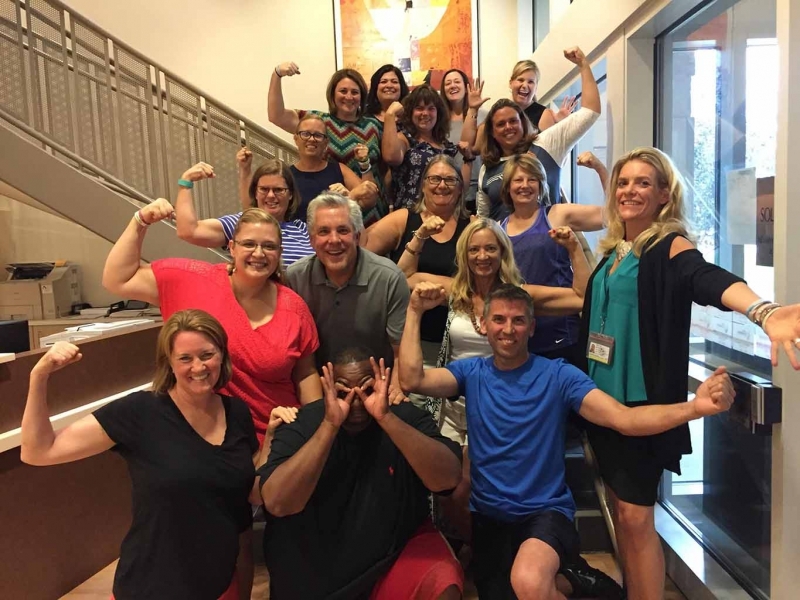 Once you have learned to live in a State of Slim you will be part of a community of others who have been fighting the weight battle and winning. Be inspired by our success stories. You’re only 4 steps away. soar into an empowered life. Read the book that lays out clinically-proven insights to help you lose weight and take hold of a healthy lifestyle. WHAT IS A TYPICAL STATE OF SLIM CLASS LIKE? Want State of Slim to come to your city? Chances are, you have fallen victim to the yo-yo. You have the power to make this time different. You don’t have to be stuck in your old life. It’s time to take hold of a future that empowers you to live the life you were meant to live. Apply now for the next class. You were meant to soar. 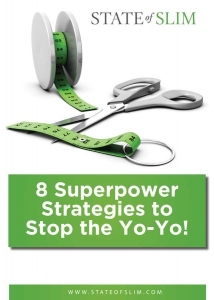 Learn the Superpower Strategies to Stop the Yo-Yo!